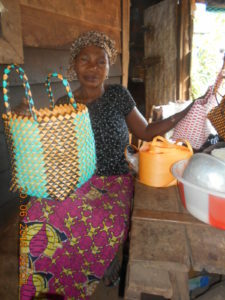 She opened a small shop where she and other women weave the baskets and handbags called Vikapo Kikapo in Swahili. In that part of Africa children can go to school if their families buy uniforms and can pay for tuition and books. 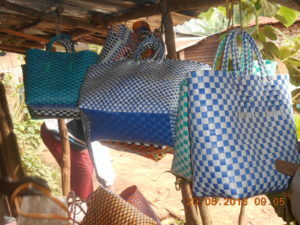 These women use their profits to send seven children to school (three of Nyassa’s own and four from other families). Since she learned to read, Nyassa continues to grow as a Christian. She can now read the Bible with others in her church.